The Hershel Woody Williams Medal of Honor Foundation and Peoples Bank partner together on Gold Star Families Memorial Monument projects. On October 11, 2017 in Marietta, OH, ground was broken on a Gold Star Families Memorial Monument project. During that ceremony, Peoples Bank President and CEO, Chuck Sulerzyski, announced that the bank would offer funding in support of the establishment of permanent Gold Star Families Memorial Monuments in the communities it serves throughout Ohio, West Virginia and Kentucky in partnership with the Hershel “Woody” Williams Medal of Honor Foundation. To date, this partnership, along with the diligent efforts of local Gold Star Families Memorial Monument committees, has resulted in the establishment of two Gold Star Families Memorial Monuments. The first to come to fruition through this collective effort, was the Marietta, Ohio Gold Star Families Memorial Monument http://hwwmohf.org/marietta-oh.html dedicated on June 23, 2018. This was the 38th Gold Star Families Memorial Monument to be established as a part of the Hershel “Woody” Williams Medal of Honor Foundation’s national effort to honor, recognize, and serve Gold Star Families and their fallen Heroes all across America. The second Monument collaborated on through this partnership will be dedicated Saturday July 7, 2018 in North Canton, Ohio http://hwwmohf.org/canton-oh.html. This will be the 39th Gold Star Families Memorial Monument. Public is welcome. The Gold Star Families Memorial Monument project is a national effort led by the Hershel “Woody” Williams Medal of Honor Foundation to establish these memorial monuments in as many communities as possible in all 50 states dedicated to Gold Star Families and their fallen Heroes. As of July 7, 2018, there will be 39 Gold Star Families Memorial Monument projects completed with 42 additional Monument projects in-progress spanning a footprint of 38 states. These Monument projects are carried out through the efforts of local committees across the country with the support of the Foundation. The Peoples Bank Foundation, Inc., a nonprofit corporation, was organized exclusively for charitable purposes to meet the needs and challenges of all segments of the community in Peoples Bank market areas. The Foundation centers its contributions in the areas of Community Investment and Economic Development, Youth and Education, Health and Human Services and Arts and Culture. About Peoples Bank: Peoples Bancorp, Inc. is a diversified financial services holding company with $3.9 billion in total assets, 81 locations, including 71 full-service bank branches, and 77 ATMs in Ohio, West Virginia and Kentucky. 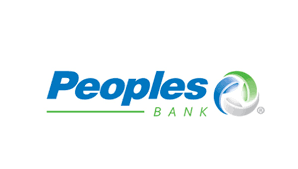 Peoples makes available a complete line of banking, investment, insurance and trust solutions through its subsidiaries - Peoples Bank and Peoples Insurance Agency, LLC. Peoples’ common shares are traded on the NASDAQ Global Select Market® under the symbol “PEBO”, and the Company is a member of the Russell 3000 index of US publicly traded companies. Learn more about Peoples at http://www.peoplesbancorp.com.